You must have an Ivacy VPN Account. If you don’ have one, you can buy it by clicking here. If you are using OpenELEC version 6, then you must first add OpenVPN Add-on, in order for Ivacy VPN to work. 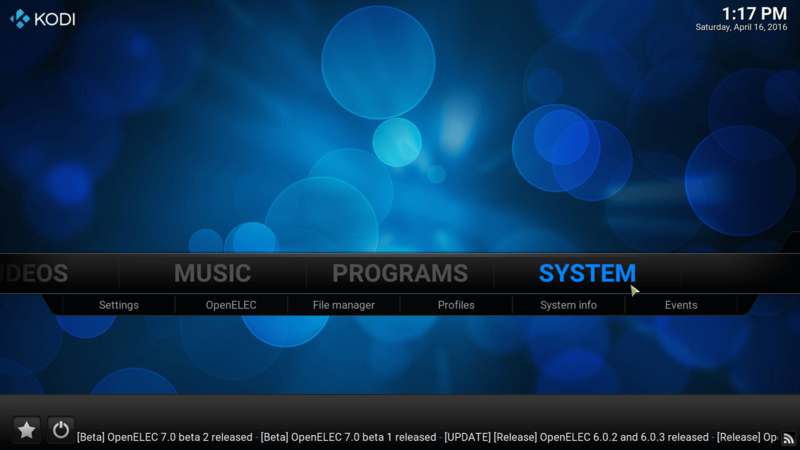 The process of installing OpenElec is provided in the tutorial below. 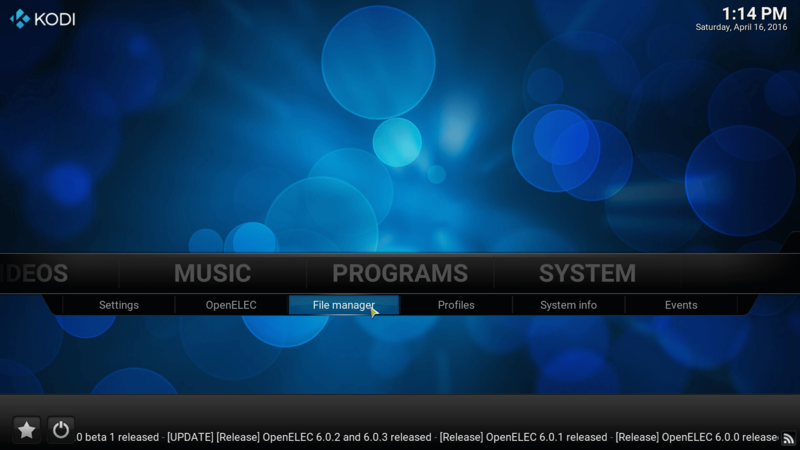 For this tutorial, we assume that you have a Raspberry Pi unit with OpenELEC installed, or any other OpenELEC based hardware for example Wetek Play; and are able to access the device directly via an attached monitor and keyboard, and that you have a USB drive (or drives) attached to it (if you need to download some files through addons). Navigate to the “System” tab and select “Settings” option. Select the option “Install from repository”. 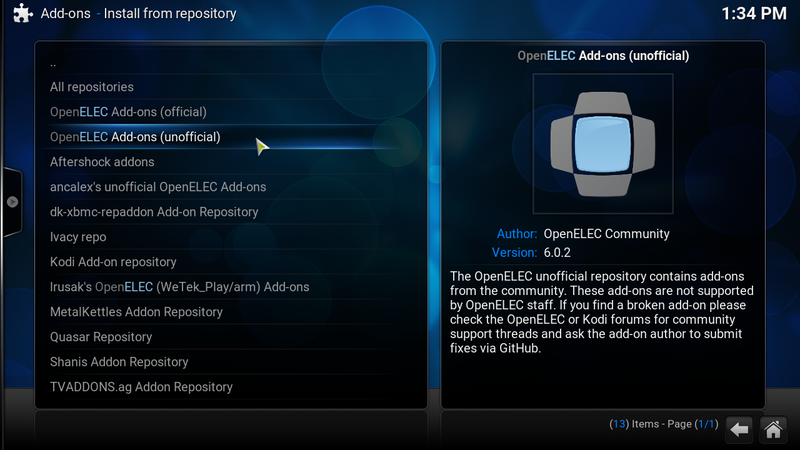 Now select the option “openELEC Add-ons (unofficial)”. Then select “openvpn” add-on and install it. Navigate to “System” and then Click on the “File Manager” tab. Select “Add Source” from the left hand side window. Double-click the text box to open up the keyboard. 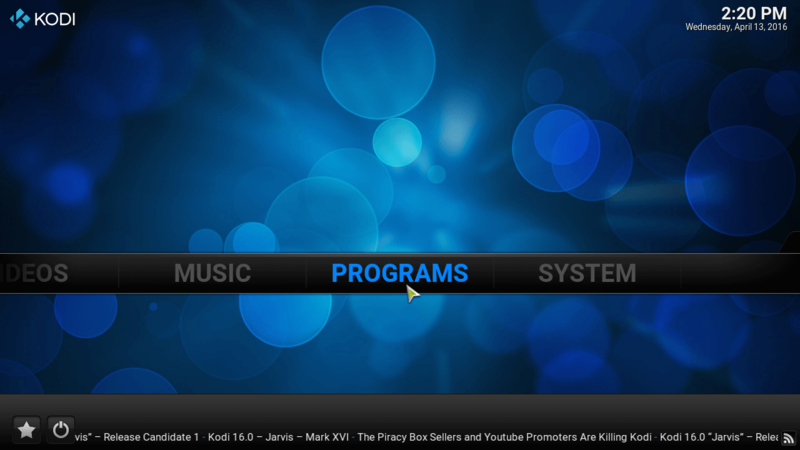 Now type http://www.ivacy.com/kodi-addon/ and click on the “Done” button. Now in the text box, write the name of the media source. In this case, we have written “kodiaddon”. Press “Ok”. 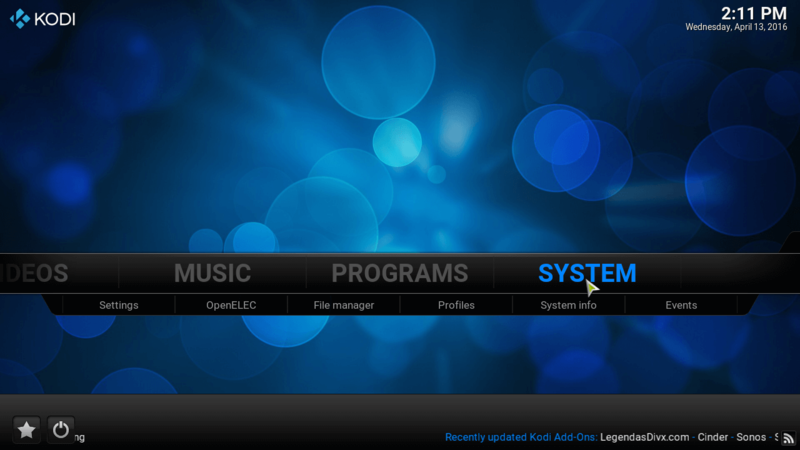 Now you have successfully added Ivacy to Kodi’s repository. Navigate to “System” and click on the “Settings” button. In the “Settings” menu on the left hand side, click on the “Add-ons” tab. Select the option, “Install from the zip file”. Now select the source you have just added. In this case, we want to install “kodiaddon”, so select the “kodiaddon” folder. Click on the repository’s zip file you want to install Ivacy from. Now your addon is ready to be installed. 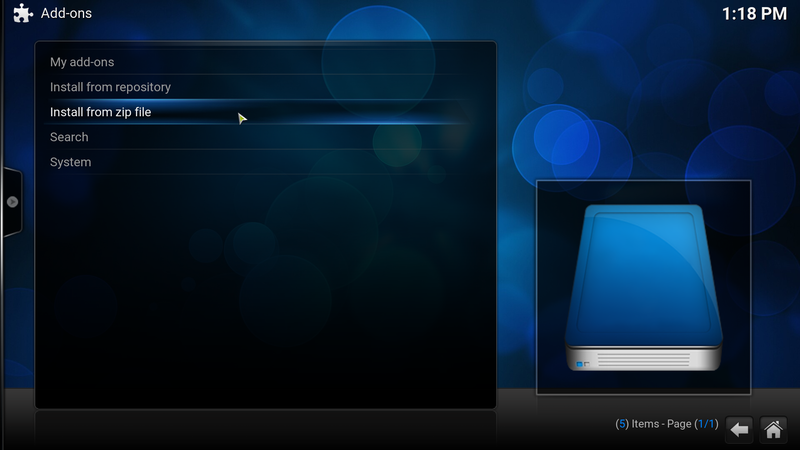 Navigate to “System” menu and select the “Settings” tab. Select the “Add-ons” tab from the left hand side section. Now, select the option, “Install from repository”. 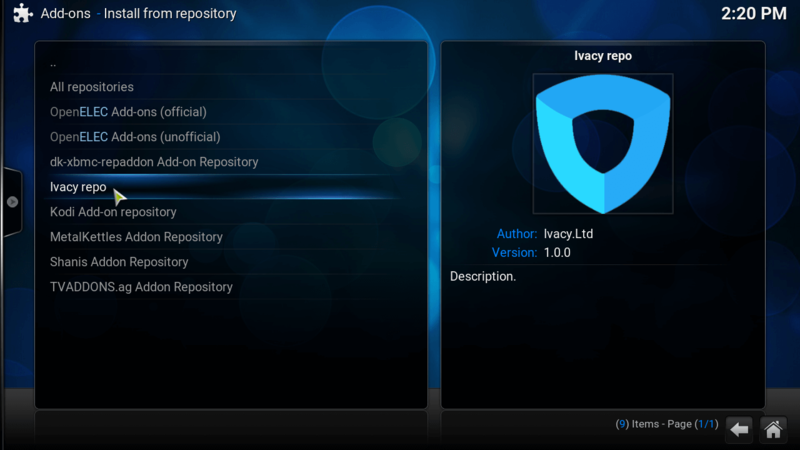 Select the addon “Ivacy repo” that you have previously added in Ivacy’s repository. After you have selected “Ivacy repo”, this window will appear. 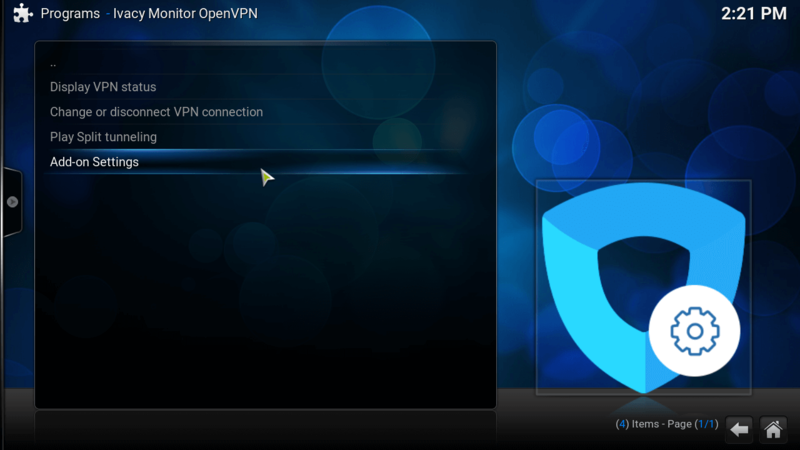 Select the “Service” and then in the next window, select “Ivacy Monitor OpenVPN”. 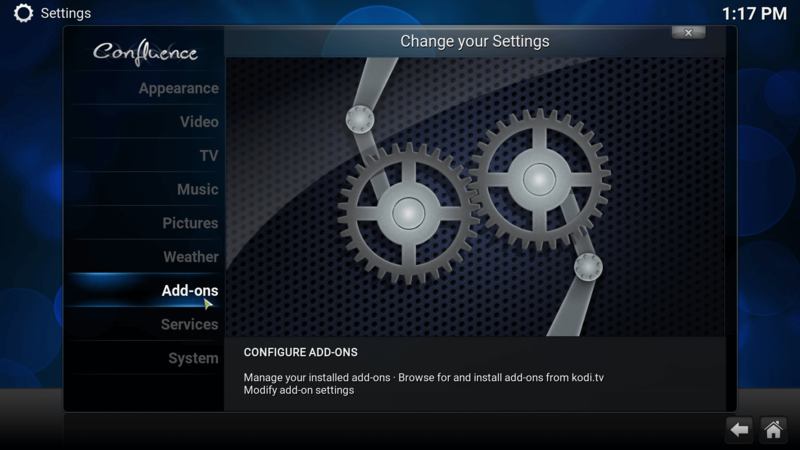 On this menu, click on the “Install” button to install IvacyAddon for Kodi. Congratulations! 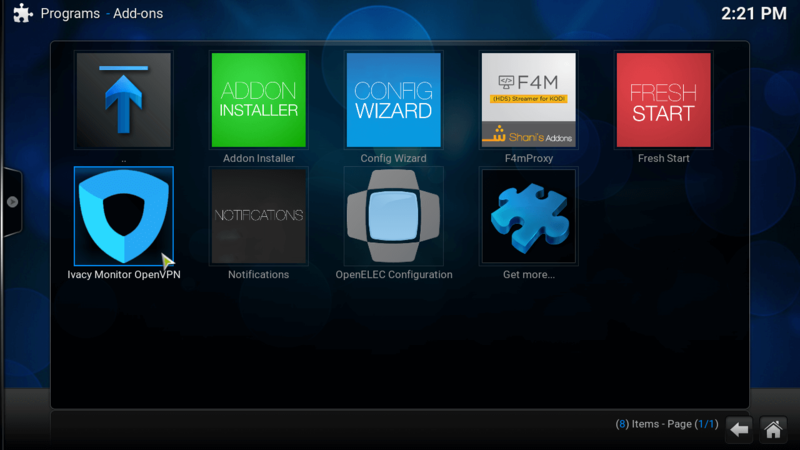 You have successfully installed Ivacy VPN addon for Kodi! Now that you have successfully installed Ivacy VPN addon for Kodi, it’s time for you to set up Ivacy VPN addon. 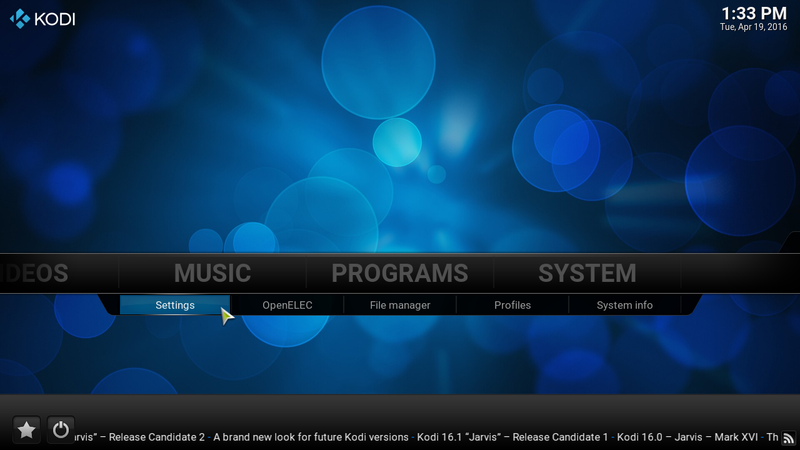 Select the “Programs” tab on the main menu of Kodi. 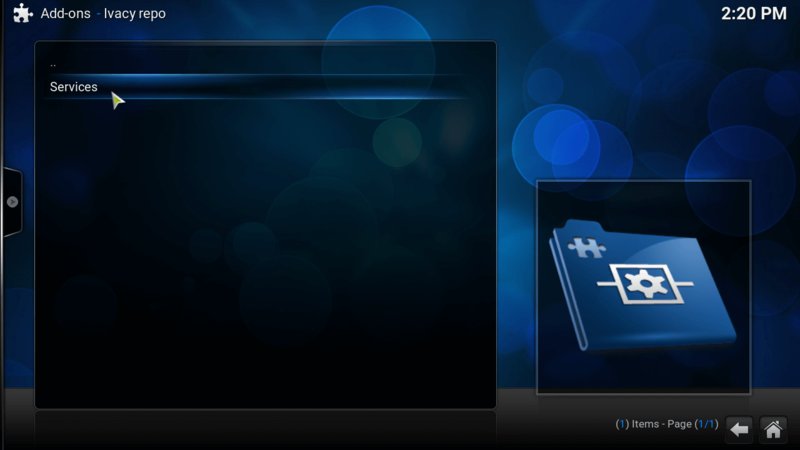 Here you will find the recent programs that you have added. Select “Ivacy Monitor Open VPN”. 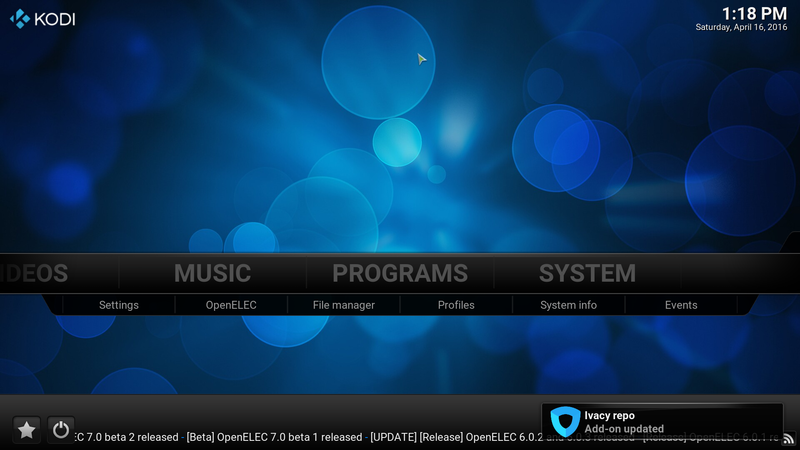 When you select “Ivacy Monitor OpenVPN, this window will appear. Enter your Ivacy’s credentials (username and password) here. 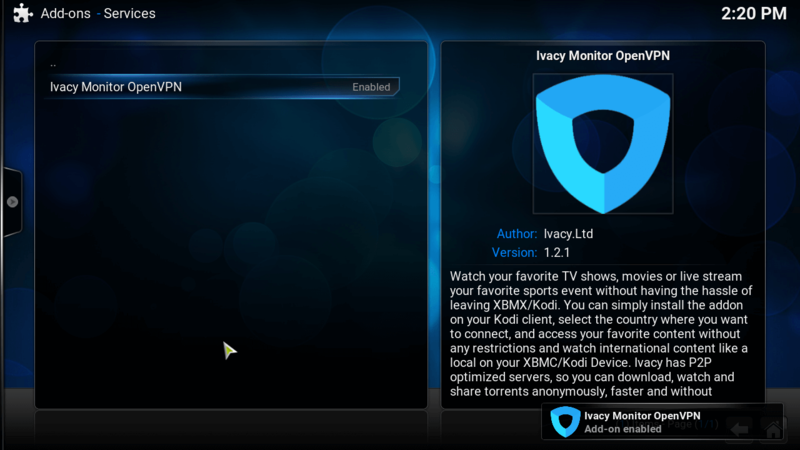 Once you have entered your credentials, go to “Ivacy Monitor” tab and select, “Automatically connect to Ivacy VPN at boot” in order to avoid connecting it every time you start your Kodi Session. Now, it’s time that you select the country or region from where you want to access the content of your choice. 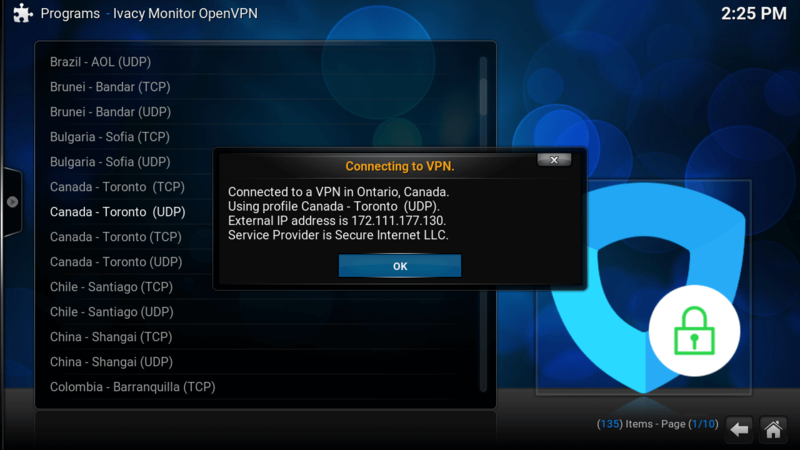 If you want to check you current I.P and location, then click on “Display VPN Status”, and your IP and location will be displayed. Now select the option “Change or Disconnect VPN connection”. When you access this option,there are numerous country servers to choose from. Select the server of your choice. Just for demonstration, we have chosen Canada server of Toronto region. When you choose the server of your choice, it will start to connect. Congratulations, you are successfully connected to the server of your choice. Now stream the content of your choice without worrying about any geographical blockades. How to Setup Ivacy VPN on Apple TV? How To Setup Ivacy on Consoles? 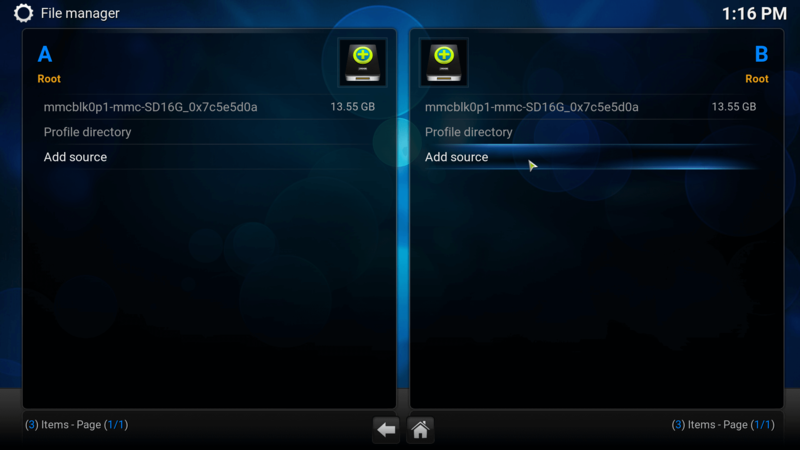 How to Setup VPN on PS3 / Xbox / Roku / Boxee Device?